Varanasi, the world’s oldest city, is the eye of the Indic world. Its primary identity is ‘Hindu Central’, the place to which every believing Hindu must make a pilgrimage at least once in his/her lifetime. As an old Hindi-belt saying goes, ‘ Kashi ke kankar Shankar samaan’ (Each pebble in Kashi is as sacred as Shiva). 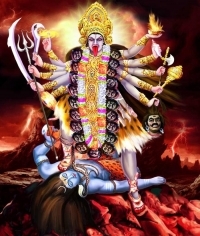 It is to Sanatana Dharma what Mecca became to Islam and the Vatican to the Catholic Church. Beyond this foundational fact, Varanasi is witness to key Indic events of astounding range and depth due to the important people who came to its ghats, the steps that lead down to the Ganga, ‘the river of salvation’. Varanasi is the birthplace of four Jain Tirthankaras. The Buddha came here in the Sixth Century BCE and preached his first sermon to ‘the Five’ at Sarnath nearby. 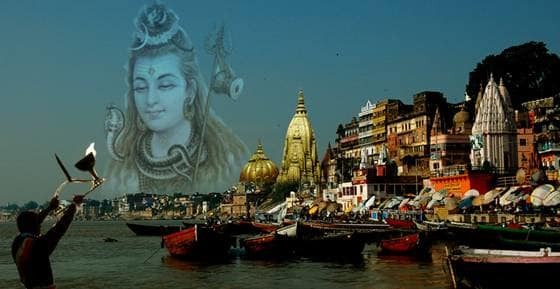 Adi Sankara came to Varanasi arguably in the Eighth Century CE and, it is famously believed, was taught a lesson in spiritual humility by Lord Shiva. Varanasi was ‘Hindu-Muslim’ Sant Kabir’s hometown in the 15th century and, in the 16th century, Goswami Tulsi Das composed the Ramcharitmanas and the Hanuman Chalisa here, thereby changing Hinduism forever across north India. Carnatic eminence Muthuswami Dikshitar (1775-1835) came here in his teens with his guru, learnt Hindustani ragas, met the world and went home to become a pillar of Indian musical excellence. Kashi wrought other profound transformations. Kabir, transcending the deities of Puranic lore, went to the Upanishads, to the earliest-known concept of a formless One who nevertheless contained and pervaded all forms. The Upanishadic attempt to define the ‘Unknown’ was expressed, among other ways, as ‘oil in a sesame seed, fire in fire sticks, ghee in milk, scent in a flower’ and Kabir rearticulated this concept in simple speech as ‘ Jaise til mein tel hain/jyun chakmak mein aag/Tera Sain tujh mein hai, tu jaag sake toh jaag’ (Like oil in sesame seeds and fire in flint, so your Lord lies within you, awaken Him if you can). Another deeply Upanishadic reformer, Guru Nanak (1469-1539), was to say, ‘ Puhap madh jiu baas basat hai, mukar maah jaisi chaayi/Taise hi Hari basey nirantar, ghat hi khoja bhai’ (Like scent in a flower and our reflection in a mirror, so does the Lord dwell eternally within us, seek Him within, brother). The Sikh Gurus greatly cherished Varanasi. Guru Nanak came here in 1506, went to the (then) Kashi Vishwanath temple, met with the pandits of Kashi to discuss his views and collected the verses of Kabir and other local saint-composers. The sixth Guru, Guru Hargobind, sent an important emissary to Kashi to spread his teachings and the ninth Guru, ‘Chadar-e-Hind’ Guru Tegh Bahadur, who gave his life in 1675 to protect the religious freedom of Hindus, visited Kashi twice. His son, Gobind Rai, when barely six, came by with his mother while on a journey across north India and as Guru Gobind Singh, the 10th Guru, sent five followers to Varanasi to learn Sanskrit and acquire higher learning before sending them forth as emissaries of the reformist faith. In 1839, Maharaja Ranjit Singh covered the spires of the new Kashi Vishwanath temple with gold (this is the present structure, rebuilt in 1780 by Maharani Ahilyabai Holkar of Indore). The Maharajas of Nabha and Kapurthala donated generously towards the founding of a Sanskrit College in 1911 and Pandit Madan Mohan Malaviya, founder of Banaras Hindu University, reportedly went in person to Punjab to invite a greatly respected Sikh saint, Sant Attar Singh, to inaugurate the college. The Guru Granth Sahib includes verses said to be composed by the 15th century Saint Ramananda of Varanasi, an ardent follower of the inclusive Sri Vaishnava faith spread by Sri Ramanuja (1017-1137) of Tamil Nadu. Ramananda himself was Kabir’s chosen spiritual preceptor and both the Ramanandi and Kabir Panthi cults cut a wide social swathe across north India. Swami Dayanand Saraswati, founder of the Arya Samaj, Sri Ramakrishna Paramahamsa and Swami Vivekananda showed up on Kashi’s ghats as a matter of course on their respective reformist missions. An intricate web of connections emanated from Kashi, weaving a warp and woof of spiritual sensibility over the Indian subcontinent, across centuries and regions — a richly-textured weave of thought that included strands of both classical Hinduism and reformist worldviews spun from the deeply internalised cocoon of Upanishadic philosophy. Varanasi or Kashi is older than traditions. Varanasi presents a unique combination of physical, metaphysical and supernatural elements. According to the Hindu mythology, Varanasi liberates soul from human body to the ultimate. It is the Ganga Ghats of Varanasi that complement the concept of divinity. Ghats of Ganga are perhaps the holiest spots of Varanasi. The Ganga Ghats at Varanasi are full of pilgrims who flock to the place to take a dip in the holy Ganges, which is believed to absolve one from all sins.